It’s just under a month since the Government delivered its 2018 Budget. Cuts of $141 million to Australia’s aid and development spending over the next four years mean a total cut in real terms of one-third since 2014-15. The result? While the Government continues its commitment to gender equality, cumulative cuts inevitably mean less investment in tackling the sexual harassment, violence and inequality faced by women around the world. Yet every day, women continue to experience abuse of power. In the workplace, in public, at home. We say, Enough. This end of financial year, we’re trying to raise $480,000 to tackle abuse of power. If you can contribute, please make a donation via this link. In Fiji, 20% of women, that’s one in five, experience sexual harassment in the workplace. Our partner, the Fiji Women’s Rights Movement (FWRM) is leading the fight for equality and safety in the workplace. Their campaign, NOT OK: STOP SEXUAL HARASSMENT! not only got people talking, it got companies acting to address and prevent sexual harassment. To achieve zero tolerance for sexual harassment and sexual violence we must challenge the deep inequality that makes abuse of power possible. The women and organisations we work with, like FWRM, are leading the charge to end sexual harassment and violence, in some of the most hostile environments imaginable. 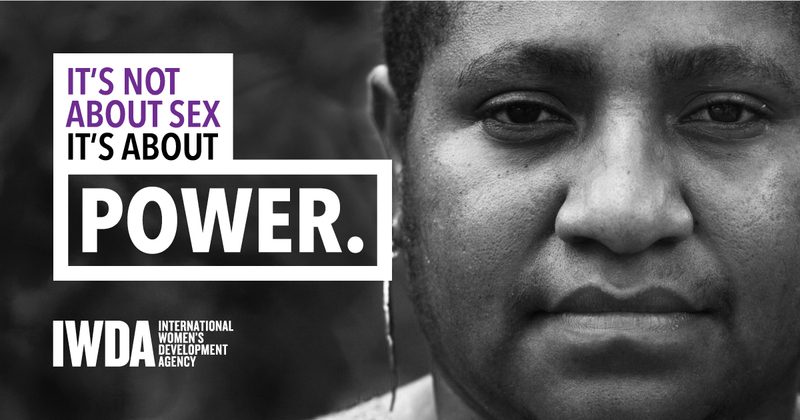 With your support, IWDA and our partners will continue to challenge the attitudes, behaviours and impunity that make abuse of power possible. Women shouldn’t have to wait. Please invest in our work to stand up against abuse of power.